Editor’s Note: This special report – the First Installment of a Two-Part Story – originally ran Friday. But since many subscribers were unable to access the story due to a technical problem, we’ve included it again as part of today’s broadcast. Part II will run tomorrow (Tuesday). Back in 2003, the Goldman Sachs Group Inc. (GS) – eager to push its clients toward emerging markets investment – created the acronym “BRIC” to stand for Brazil, Russia, India and China, the four emerging markets the investment bank’s strategists believed would become a dominant part of the world economy in the years ahead. What started as a marketing ploy is now a profit play that global investors have to consider, since at least three of the four countries – Brazil, China and India – feature sound economies with powerful growth rates, and stock markets with reasonable valuations. In fact, China and India are two of the fastest-growing investable economies on the planet, and have been transformed into global leaders in both the manufacturing and service sectors. At the same time, Brazil and Russia each has become a cornucopia of commodities, and are emerging as global leaders in the white-hot global energy sector. These newfound global strengths have provided all four of these countries access to massive amounts of capital, a key element of the investing methodology in both Money Morning and The Money Map Report. With foreign reserves of $1.68 trillion, China basically has all the capital it needs for the development projects it has on the drawing board. India has nearly $300 billion in foreign capital invested in its stock market; and that virtually guarantees it will remain on global investors’ radar screens for the foreseeable future. After conducting this analysis, we decided to develop “The BRIC Report,” a periodic feature we’ll use to update you on both the latest developments, and the latest profit plays, in each of the BRIC economies and BRIC stock markets. While the BRIC countries are by no means the world’s only attractive emerging markets – from time to time, in fact, the BRIC markets may become overpriced or their growth prospects may ebb – over the long haul, these markets remain strong opportunities for investors, and should remain at the top of your list of profit plays. Here are the four top factors why this is true. Population: The four BRIC markets are the largest economies and have some of the largest populations among emerging-market countries (which don’t include such already-emerged East Asian markets as Japan and South Korea). Companies from BRIC countries have large-and-competitive domestic markets, meaning they’re already globally competitive when they venture abroad. Rapid Growth: China and India have two of the fastest growth rates in the world, and that looks likely to continue. Other rapidly growing countries are much smaller – and more risky. Natural Resources: While China and India are the major poles of global manufacturing and service growth, the two other BRICs – Brazil and Russia – are cornucopia of commodities and energy, which in the past have been inadequately exploited. The escalating energy and commodity prices of the last five years have brought rapid growth to both countries, enabling them to develop active consumer sectors with a multitude of investable companies. Access to Capital: Brazil recently achieved an investment grade debt rating from Standard and Poor’s Inc., giving the Latin American country access to the major global pools of institutional capital, while also significantly lowering the cost of its debt. Russia has built up foreign-exchange reserves of more than $400 billion, allowing it to break free of a reliance on foreign capital. China, with a record $1.68 trillion of foreign exchange reserves, has access to all the capital it can handle. Finally, India may finally have broken out of the cycle of foreign exchange constraints that had previously prevented rapid growth: With foreign capital of almost $300 billion invested in its stock market, it is very much on investors’ radar screens worldwide. Let’s take a look at the markets one at a time. Having had its debt rating raised, Brazil is in the same position as an individual who gets a new job, pays off some debt and discovers the credit card companies suddenly all love him. It’s a heady position, and highly profitable for Brazilian companies, provided the government doesn’t go on a spending binge. When Brazil was included in the “BRIC” group in 2003, it didn’t deserve the distinction. Long-term growth since the 1970s had averaged less than 2% annually per capita, and the country had narrowly avoided bankruptcy in 2002. Long-term interest rates were above 20% – around 15% in real terms – which hardly encouraged companies to make capital spending commitments that could provide a badly needed boost to Brazil’s flagging economy. Most alarming, a left wing socialist named Luis Inacio “Lula” da Silva had just been elected president. Brazil got lucky. First, President Lula proved to be surprisingly moderate, perfectly willing to welcome foreign investment and not at all like his socialist neighbor, Venezuelan President Hugo Chavez. Probably more important, it was in 2003 that energy and commodity prices began the long climb that has brought them to their current astronomical levels. Since Brazil was not an oil exporter, there was no one single source of new wealth that the government could seize. Instead, revenue flowed to mining companies, the oil company Petroleo Brasileiro SA (usually referred to as just Petrobras) (ADR: PBR) and numerous agri-business operations. Most startlingly, Brazil’s ethanol program, which had been a hopeless boondoggle for a generation since it started during the oil crisis of 1979-82, suddenly became the envy of the world. Rising oil prices made Brazilian sugarcane the world’s cheapest and most economically and ecologically efficient source of newly fashionable ethanol. Back when oil was trading at $20 per barrel, the ethanol-from-sugar program was a typical example of misguided Third World government planning. But now that oil’s pushing $130 a barrel, it’s a bonanza. Brazil’s current growth rate is around 5% – but the Brazil of today is far more balanced and stable than in its 1970s version, even though growth back then was an impressive 10%. Brazil’s improving credit position is likely to allow today’s growth rate to persist. Besides, political risk appears minimal: When President Lula leaves office, a politician of the center-right could well replace him. Companhia Vale do Rio Doce, now referred to as Vale (ADR: RIO), is a huge iron-ore company with ancillary operations in gold, nickel, copper and other metals. At 10 times earnings, it is reasonably valued, though its dividend is only 1.6%. The afore-mentioned Petrobras (ADR: PBR), which is one of the few emerging-market oil companies with access to modern technology and a willingness to work with the oil majors. But there are several negatives. First, even with a recent sell-off, the company’s shares are up substantially in the past year. The stock’s Price/Earnings ratio is a somewhat-steep 16, while its dividend yield is a modest 1.6%. But there is a possible upside here, should it find another gigantic offshore oilfield. The downside case: Oil drops back to $50 a barrel. Companhia de Saneamento Basico, or Sabesp (ADR: SBS), operates the water-and-sewage system for Brazil’s Sao Paulo region. Now that’s a growth business, and one that’s not dependent on commodity prices. It has a P/E ratio of only 8.6. As long as world oil prices keep increasing, or at least remain high, Russian energy companies will keep generating record profits. If that happens, count on Russian consumers to keep enjoying he resultant bonanza, thanks to spin-off benefits that will boost consumer-sector profits (leading to the creation of products that consumers actually can buy). However, Russia is the least sound of the BRIC economies, and is the one that I would least like to be invested in over the long term. Politically, Russia has pretty much reverted to the pre-1991 Soviet system. Today, just like then, there’s only one real party: The United Russia party, which controls 315 of the 450 seats in the Duma (essentially the lower house of parliament) and whose leader is one Vladimir Vladimirovich Putin. There is considerable censorship of the media, and dissident reporters and editors have a habit of disappearing – not that there are many left now. There is huge emphasis on military power, and on throwing Russia’s weight around in foreign policy. There is, however, a significant economic difference from the pre-1991 Soviet Union: While the state still controls most property, it does not control all of it as before. Another difference: Before 1991, Politburo members were relatively impoverished and notorious for their lack of fashion sense and trademark baggy Soviet suits; these days the top brass, and especially Putin, are telegenic, snappy dressers with broad wardrobes of Italian clothes – and hefty bank accounts to match. Economically, the Putin regime has produced huge economic growth – averaging nearly 10% per annum since 2000, including growth of 8.1% in 2007. A certain percentage of this was a “dead cat bounce” from Russia’s debilitated state in 1998-99, while some was the effect of a Reaganesque tax reform passed in 2001, which produced a “flat tax” income tax system at a rate of 13%. Since 2004, Russia’s economic growth has been almost entirely driven by high oil prices. With Putin’s partial seizure of the Royal Dutch Shell PLC (ADR: RDS.A, RDS.B) concessions in 2006 and the BP PLC (ADR: BP) properties earlier this year, it’s become obvious that the Russian state will control all economic activity in the energy sector. As a result, output has now stopped increasing; in the first quarter it actually declined slightly. New Russian President Dmitry Medvedev has announced an ambitious target of expanded output, but I remain skeptical that Russia will achieve this with its government-dominated economic system. OAO Gazprom (Pink Sheets ADR: OGZPY), the state-owned natural-gas monopoly, has ambitions to control Western Europe’s gas supplies. Since its ambitions don’t yet extend to the U.S. market, it is quoted only on the Pink Sheets. The shares are trading at 10 times trailing earnings, but gas prices and Gazprom’s dominance are both rising. Lukoil (Pink Sheets: LUKOY.PK) is the largest state-controlled oil company; but again, its shares only are available through the Pink Sheets. This one has a trailing P/E of only 6, based on 2007 earnings, but that was back when the average oil price was about $80 a barrel. 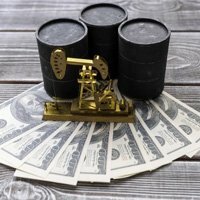 It’s a good, but speculative, play on an additional run-up in oil prices, a trend that Investment Director Keith Fitz-Gerald has repeatedly predicted will continue. Vimpel-Communications (ADR: VIP) is a mobile telephone company with 55 million subscribers and mobile operations in Russia, Kazakhstan, Ukraine, Uzbekistan, Tajikistan, Georgia and Armenia. It trades at 14.3 times trailing earnings and has a decent dividend yield of 1.9%. With its Jump to a Record $1.68 Trillion, China’s Foreign Currency Reserves Spawn Major Inflationary Fears. Is Brazil “Investment Grade” for Investor’s Money, Too? Brazil Economy Expanded 5.8% in 1Q; Central Bank Likely to Raise Rates Again. Popular Stock Indicator Tells Investors to Hit the BRICs. Russia Turns to Libya to Tighten Grip on European Energy Supply.